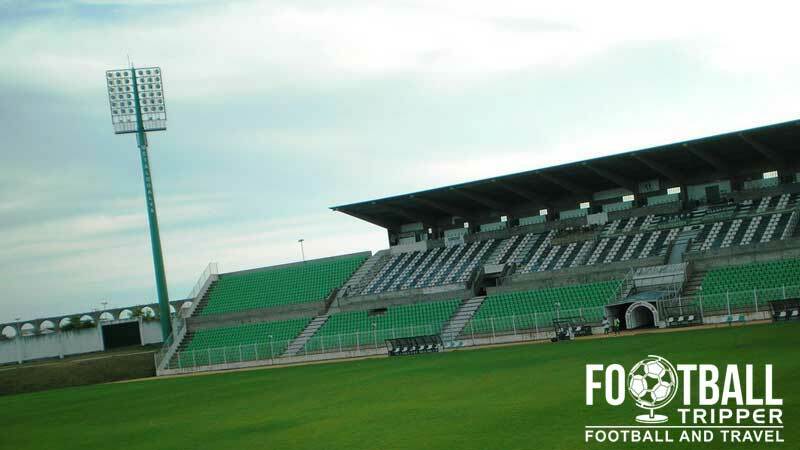 Estádio do Rio Ave FC is a multi-purpose football stadium located in the Norte Region city of Vila do Conde. 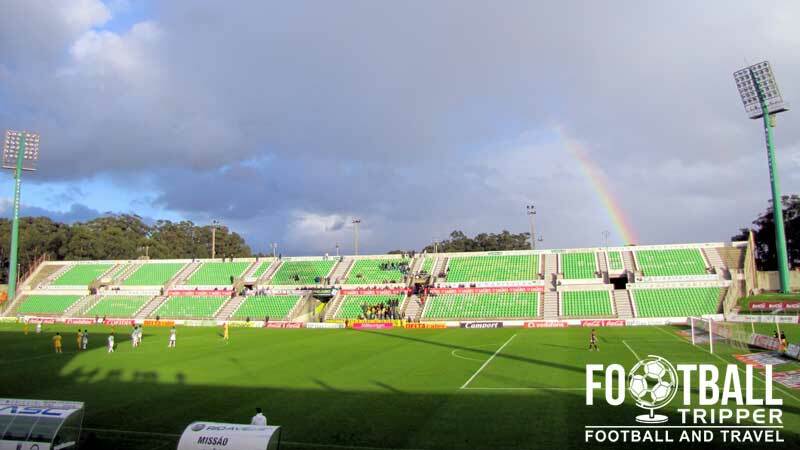 Used primarily for the matches of Rio Ave Futebol Clube since opening in 1985, the 12,815 capacity ground was deemed too small to be used for the Euro 2004 tournament. Estádio do Rio Ave FC has been home to the eponymous football team since first opening in 1985, with the 12,815 capacity ground taking just over a single year to complete. 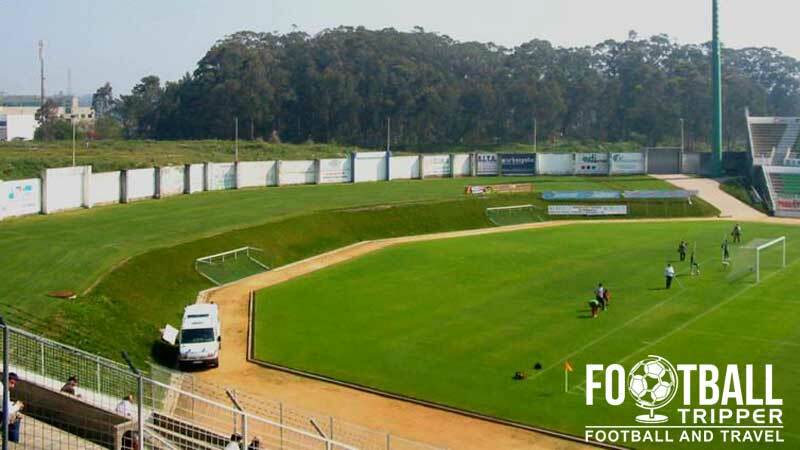 Previously the club had played their football at Estádio da Avenida (Stadium of Avenue) for over 40 years since forming in 1940 but the pitch which was fashioned out of a rented field known as Antonino Reis had unfortunately had its day. After traditionally competing within the lower tiers of Portuguese football, the club gained to promotion to the top flight in the early 1980s and managed to record their record top-tier league finish during the 1981-1982 season when they finished fifth, 4 points behind Vitória S.C. When the club lost the Cup Final to F.C Porto 4-1 in 1984, Rio Ave recognised the need to build a larger, more modern stadium. Designed by architects Branco Ló, Estádio do Rio Ave FC is located next to an 18th century aqueduct with some fans giving the stadium the nickname of Estádio dos Arcos in honour of this distinct architectural feature. Rio Ave’s stadium is technically a multi-purpose sports although it is primarily used for football. In 2014 when Rio narrowly lost against S.L Benfica in the Taça de Portugal Final held at Estádio Nacional, the club automatically gained qualification for the 2014/2015 Europa League competition after Benfica had already qualified for the Champions League by winning the league. Rio Ave had to overcome two Swedish teams in the preliminary stages and after qualifying for the group stages on the away goals rule, they were drawn in Group J along with Dynamo Kyiv, FC Steaua București and Aalborg BK. If any Football Tripper happens to have a seating plan or stadium map then please let us know! Rio Ave’s stadium is comprised of four stands: North, East, South and West. Away fans are housed within the northern-most point of the eastern tribune which is separated from the home supporters by a section of perimeter fencing. Like the rest of the east stand, the area where the travelling supporters sit is divided into an upper and lower tier. The Rio Ave fan shop (loja) is located within the back of the main stand which is located along R. Dom Sancho. There is also an online store which allows you to browse the full range of official merchandise. Whilst Rio Ave F.C do offer local schools the chance to visit, stadium tours aren’t really available to the general public. Besides, you can see most of the ground when you attend a match anyway. Tickets to see Rio Ave F.C play at home are occasionally advertised online however for most matches you can usually only purchase them from the stadium. As matches very rarely sell out you can getaway with purchasing tickets before kick-off on most occasions. Expect to pay no more than €15.00 for a seat within the uncovered eastern stand. 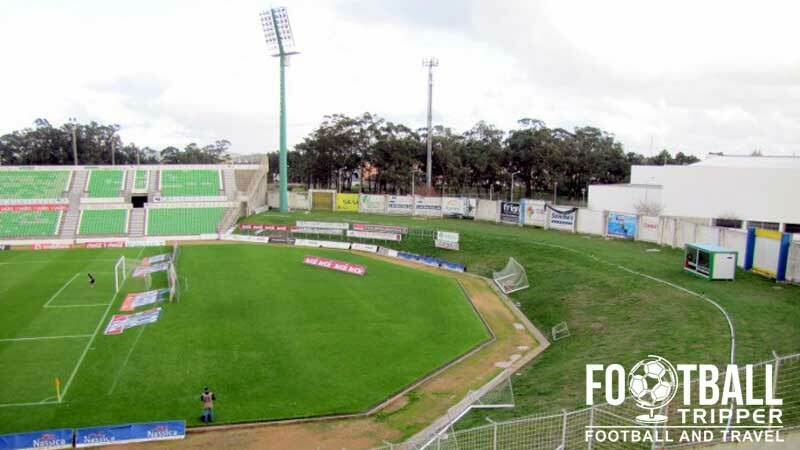 Estádio do Rio Ave Futebol Clube is located within the municipality of Vila do Conde within the Norte Region of Portugal which is approximately 25 km north of Porto. Whilst the ground is highly walkable once you are within Vila do Conde, it certainly isn’t walkable from Porto. You will instead have to catch the red metro line b which makes numerous stops en-route. There are two medium sized car parks behind the main stand however it’s unclear as to whether or not they can be used by the general public on match days. The nearest Metro station within walking distance of the ground is Vila do Conde. This can be caught from all the way back in Porto city centre, with the red metro Linha B even starting from FC Porto’s Estadio do Dragao. Note: This metro line is essentially an overground train service rather than a London Underground style tube. The nearest major airport is Aeroporto Francisco Sá Carneiro which is located 20 km south in the city of Porto. This is the second largest International flight hub in Portugal and thus features numerous European airlines. The two closest hotels to Estadio do Rio Ave are Residencial A Princesa Do Ave (3 star) and Hotel Brazão (4 star). Both are reasonably priced however you may wish to head back to Porto city centre after the match has finished.